When you've exchanged rings with your loved one you know that you'll be wearing it constantly. But have you thought about the casual wear and grime that builds up on a diamond ring? 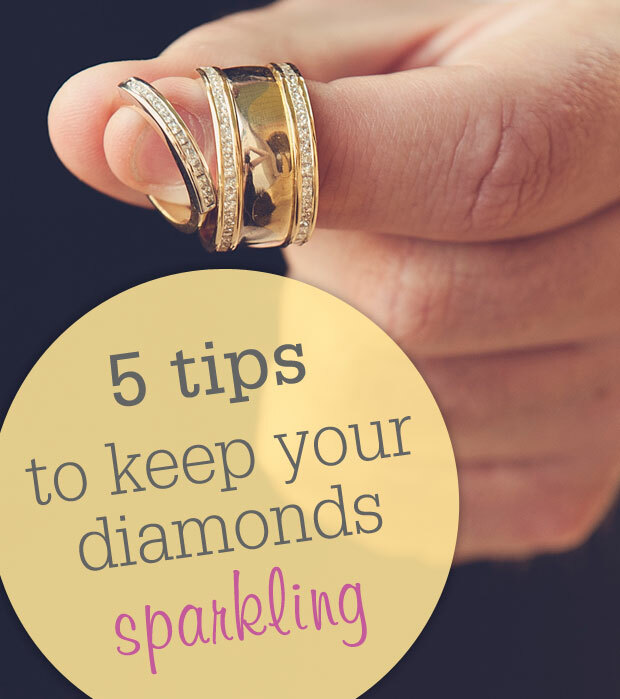 Not to worry, here's what Xennox Diamonds suggests you do to keep your rings shiny and pretty. 1. Use near boiling water. Cleaning your dishes with cold water wouldn’t be very effective, and it is the same with cleaning your jewellery. Hot water is perhaps the most essential ingredient, as it helps to break down any soap and hand cream which has accumulated on the jewellery. While it is a case of ‘the hotter the better’, I normally recommend just under boiling temperature. The melting points of gold and diamonds are much higher than 100 degrees Celsius. While almost any detergent that you have in the kitchen will do, a squirt of dishwashing liquid is ideal. Leave your rings/jewellery in the hot solution for around 5 minutes. Then after giving them a scrub, re-soak them for another 5 minutes if required. 5. Avoid using hand cream while your rings are on.